Came across this statement while doing some research on Fendt’s website. 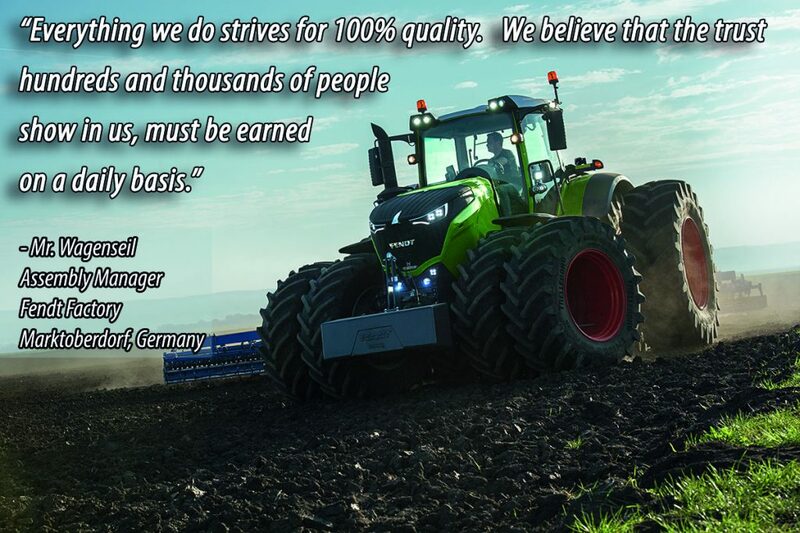 This quote by the assembly manager at the Fendt factory truly embodies Fendt’s gold standard. It is for this reason Fendt continues to produce some of the finest tractors in the world!